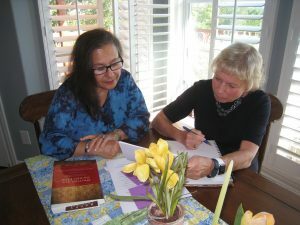 Linda M. Bendorf (M.A.T., J.D., University of Iowa) is an award-winning instructor and private writing coach who inspires novices and seasoned pros alike. Her essays, features, and poetry have appeared in the Chicago Tribune Media Group’s Triblocal, The University of Iowa’s The Daily Palette, USA Today, Gannett News Service Wire, Des Moines Register, Instructor, The Iowan, and Gather magazine. She has been an instructor in the renowned University of Iowa Summer Writing Festival for more than two decades. Linda's past festival workshops include Your Legacy as Memoir; Keeping a Spiritual Journal; Where the Wild Things Are: Creativity, Flow and Writing Magic; An Invitation to Word Play; Postcards from Midlife and Jumpstart Your Creative Genius: Reclaiming the Writer Within. 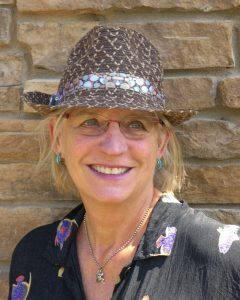 Linda is founder and director of Blue Sage Writing (www.bluesagewriting.com) which offers workshops, one-on-one coaching, and private writing retreats. Linda says, "I am most grateful for my ability to guide, to be a change agent for someone who wants to write. I offer a unique blending of inspiration, strategic writing exercises and focused feedback -- and most importantly, an environment conducive to creative flow. I am an active listener with an open heart, and I invite you to tell your most poignant stories in the most compelling way." Linda lived on the North Sea in England until age four, then grew up in Evanston, Illinois. She and her husband, Carl, live on Colorado’s Front Range where they hike, bird, bike, and marvel at the ever-changing sunsets over the Rockies. 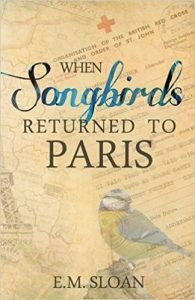 As of January 2018, introducing our new writing coach, E.M. (Elizabeth) Sloan, author and artist who dedicated more than a dozen years of research, international travel and correspondence -- and an MFA in creative writing from the University of Idaho -- to completing her historical nonfiction book When Songbirds Returned to Paris. Sloan’s Songbirds was nominated for The American Library in Paris Book Award, a Pushcart Prize, and the narrative nonfiction International Book Award. Her book profile, featured in Reading Group Choices (a premier reading group selection resource), was the most viewed book of the month in their New Release section & eNewsletter; it was also the most viewed book profile out of the 10 books featured in the newsletter. Sloan has a B.A. in Art Education from the University of Iowa; an MFA in Creative Writing from the University of Idaho; a career in art and graphic design with Better Homes & Gardens Magazine, Meredith Publishing. In the 80’s she founded and ran her own graphic design business. Besides writing, Sloan creates one-of-a-kind bookarts and other mixed media works. Her book, Our M(Others), Ourselves was included in a juried Boise State University exhibit. Sloan is 1 of 260 artists with three bookart works in the international traveling collection: Al-Mutanabbi Street Starts Here. 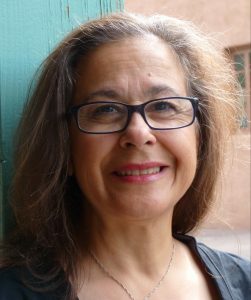 With her passion for both visual and literary art, Sloan conducted a workshop for Southwest Writers in Albuquerque, NM, titled “Writing From Photo to Finish,” an interactive writing process that combines observation with research. Since 2007, Sloan has been a first-year seminar lecturer at the University of Idaho teaching the following: Art, Artists and Meaning; and The Creative Mind. She is also the outreach coordinator for a rural economic development program with UI’s Dept. of Ag. Economics and Rural Sociology. In January 2018, Elizabeth joined Blue Sage Writing as a writing coach and workshop instructor. Follow E.M. Sloan’s author page at facebook.com/lizziebzArt, and mixed media works at lizziebzArt.com. "Linda is my writing angel"
"When I walked into the registration hall during the University of Iowa Summer Writing Festival, I had my usual apprehensions about sharing my writing with strangers and I was afraid of the blank page. The first person I saw before class started, my instructor Linda, greeted me like an old friend and I knew I was in the right place. In three workshops, two intensive retreats, and 1:1 coaching, Linda has now taken me far beyond my fear of the blank page and has taught me the faith of a writer-- that once you start, it comes and what comes is surprising and magical. Linda is a treasure trove of writing exercises, prompts, and feedback. She led me from left-brain analysis to right-brain imagination and taught me how to use both to breakthrough to my own creativity. Yes, truly my writing angel." If you are interested in working with Linda or Elizabeth, please contact us today!